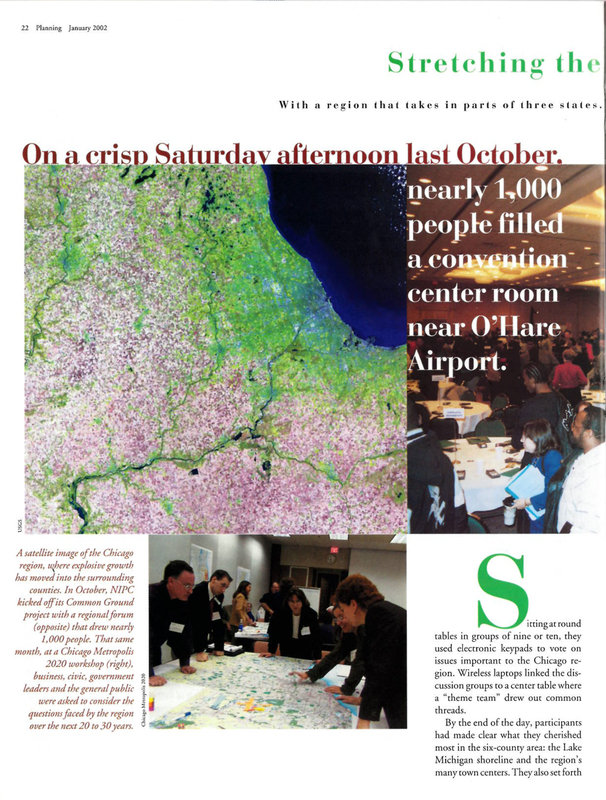 This guest essay appeared in Illinois Issues shortly after the consolidation of the two regional agencies in Chicago. 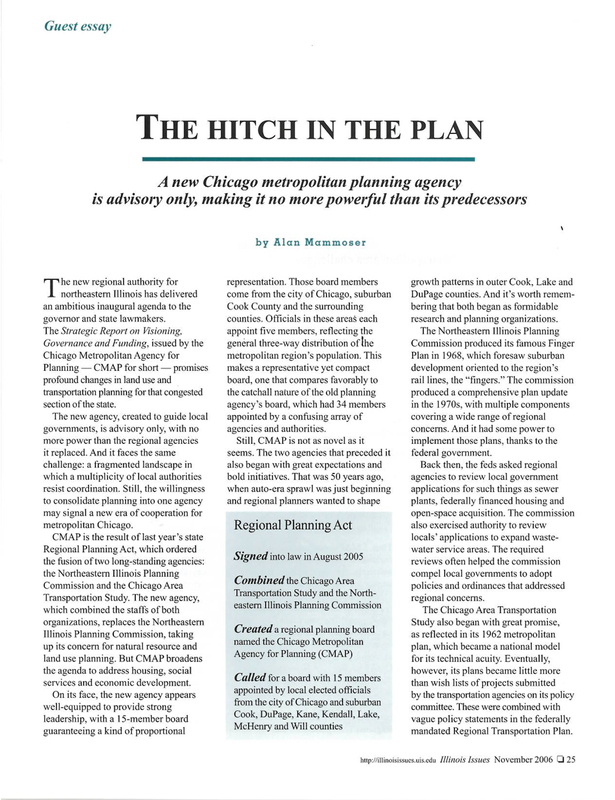 I argued that the underlying division remained and that regional planning would not become truly effective until internal unification of the whole agency under its board occurred. My opinion caused something of a stir evoking letters in response. 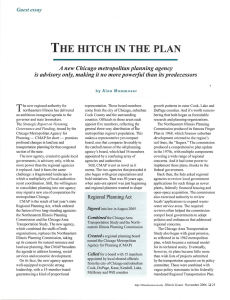 My editor Peggy gave it the prescient title The hitch in the plan. 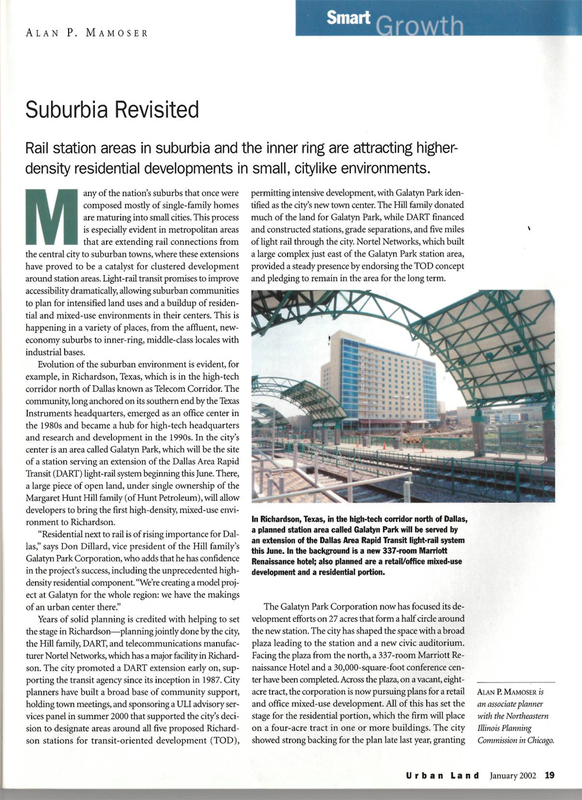 Planners are now devoted to building up little cities around rail stations, and if it can be done in metro Dallas it can be done anywhere. 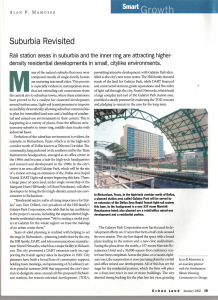 The movement toward station density was just getting started there when I wrote Suburbia Revisited. 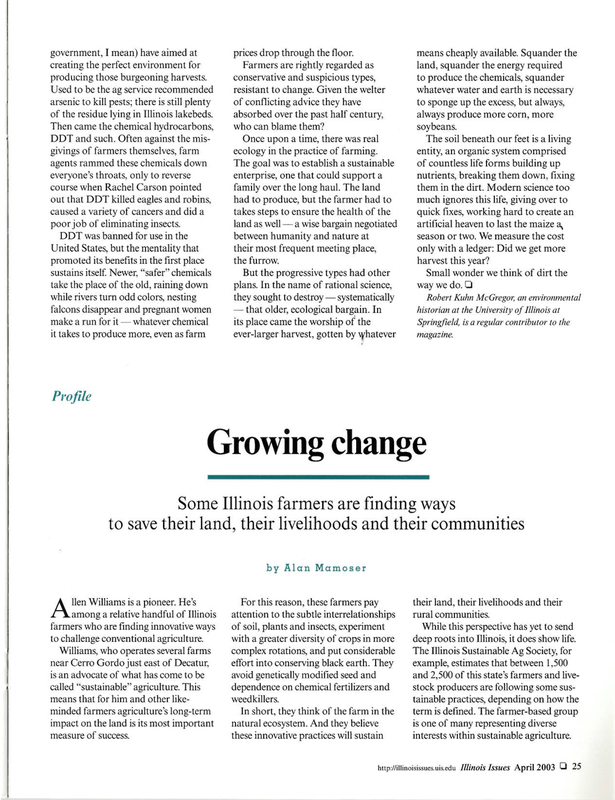 A profile of a farmer that appeared in Illinois Issues, April 2003. It portrays a farmer who’s struggle with nature to conserve his soil is much easier than his struggle with commodity markets. 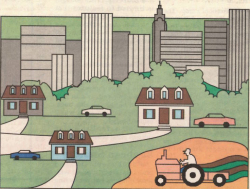 The full article is here. 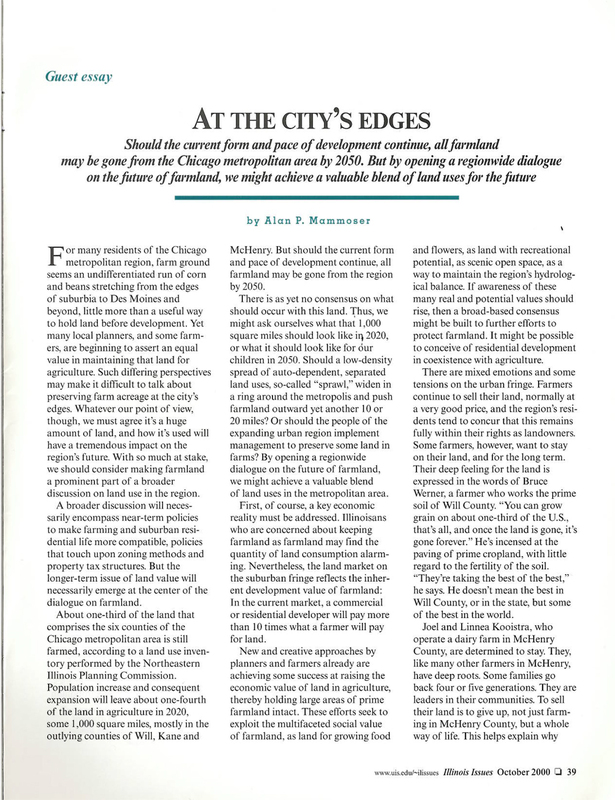 A guest essay appearing in Illinois Issues, October 2000, in which I called for a regional dialogue on farmland, to consider farmland as land, which in those days of booming development was nearly impossible. 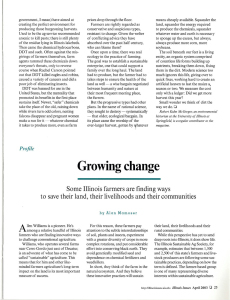 The full article as published is here. An article published in Planning Magazine, January 2002, corresponding with the annual planning conference in Chicago that year. 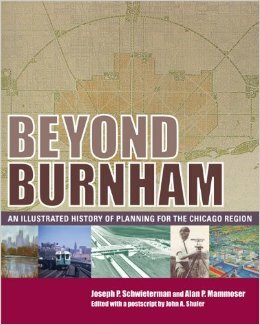 I summarize efforts of the many (perhaps too many) groups with their hand in the regional planning arena. 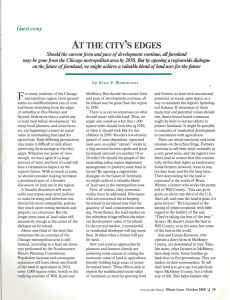 The article as published is here.